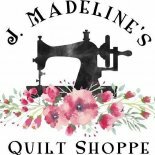 Quilting Design With Kim Werth this Saturday at J. Madeline's! Need a break from the hustle and bustle of the holiday season? Why don't you join us this Saturday for Kim Werth's What To Quilt quilting design class! Register online or at the shoppe. As we write this, seats are still available! 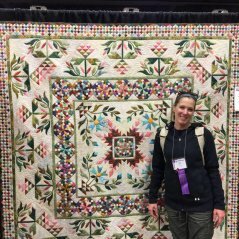 Click on the image for Kim's Facebook Page "Kim's Quilting Corner"